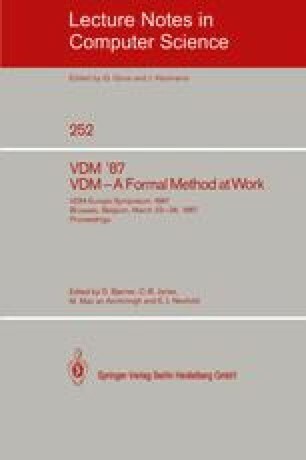 “The Vienna Development Method” (VDM) uses specifications built in terms of models and operations specified by pre-/post-conditions. Steps of design by data reification or operation decomposition give rise to proof obligations. This paper provides examples of both sorts of design step but its main intention is to show that the proof obligations for operation decomposition are consistent with a semantics of the language combinators. A discussion of a recently discovered data reification rule and some observations about the underlying logic are also included. The material in the talk given at the EEC VDM-Europe Symposium is covered by ; this paper explores one aspect of that material in more detail.